A recommended thing to do in Bangkok. 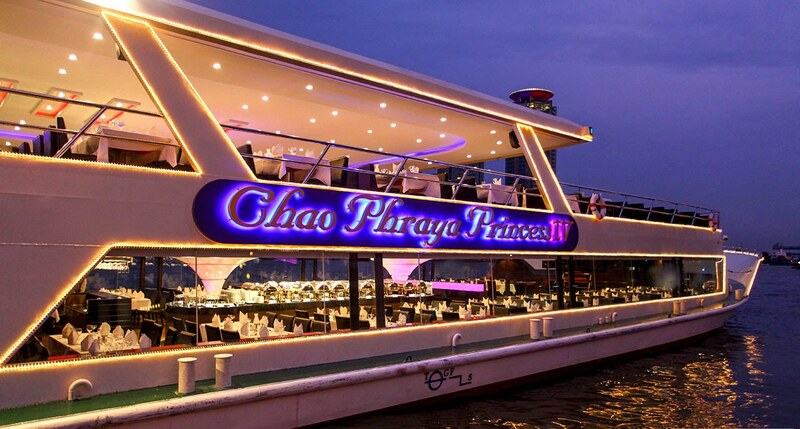 Get a world class cruise ship experience in this popular cruise on the Chao Phraya river. 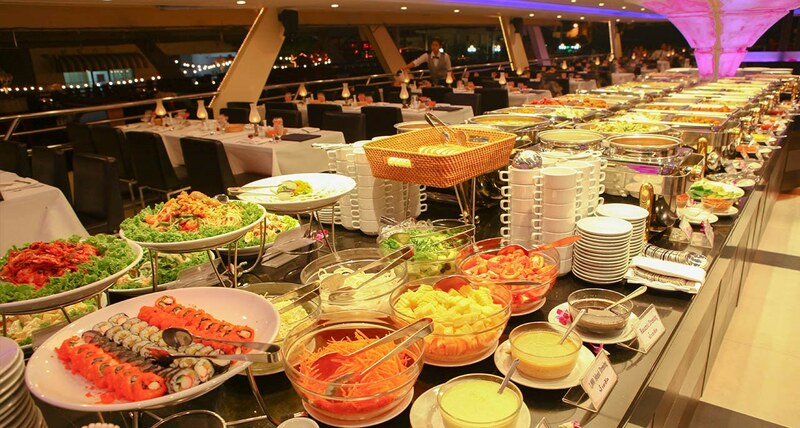 Savor a two hour buffet of a fusion of cuisines from around the world and enjoy your favorite Chao Phraya princess dinner cruise menu. 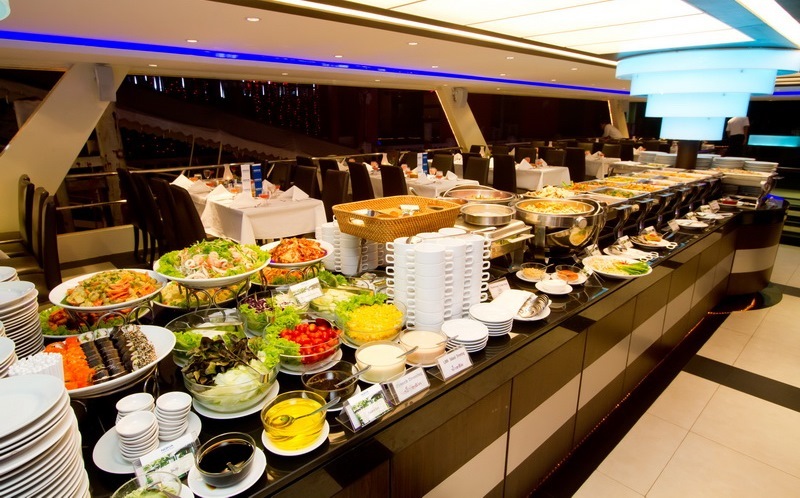 Relax to the music of a two hour live band performance for absolute entertainment. 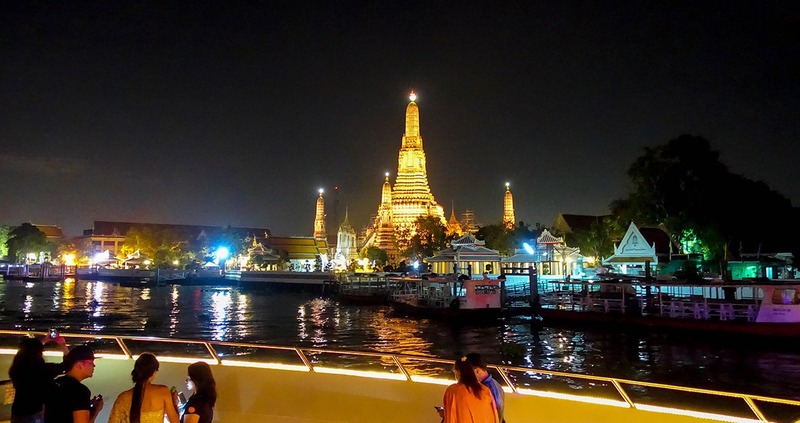 Take in the spectacular view of some of Bangkok's famous landmarks seen from the cruise ship. The voucher is valid only on the tour date and specified time. 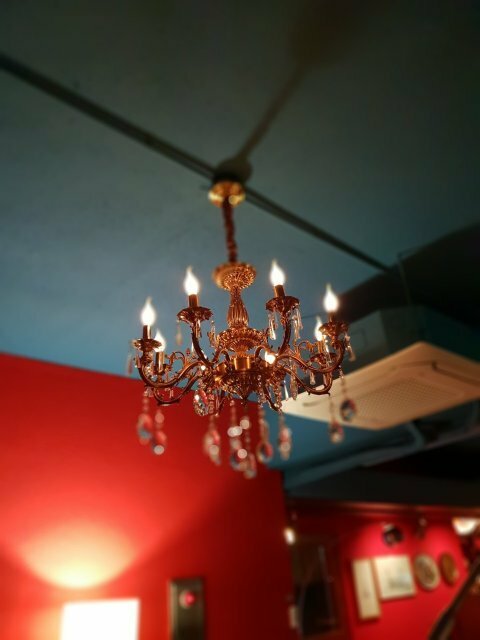 Address: 2194 Charoen Krung Road Soi Charoenkrung 72-74. 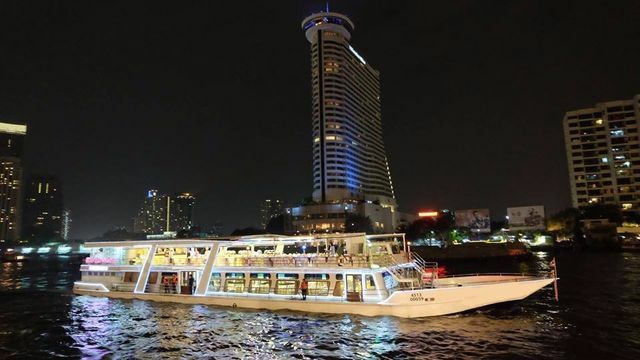 Take in Bangkok's most famous and sacred landmarks from a scenic viewpoint: aboard the Chao Phraya Princess Cruise, swiftly gliding the night. 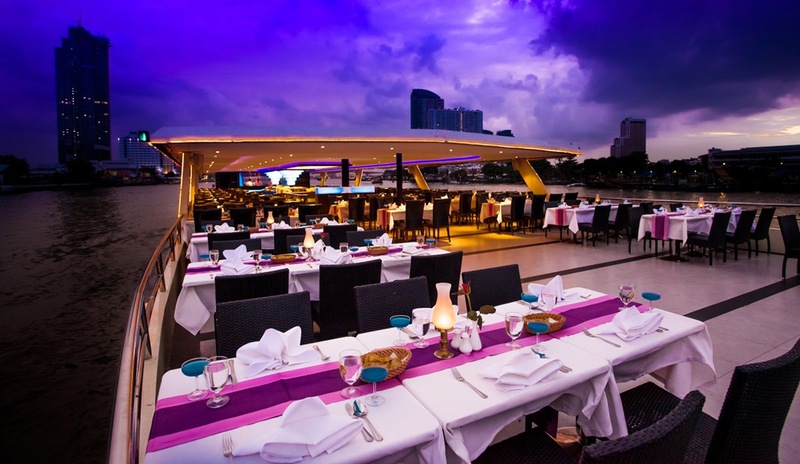 For a unique cruise ride, the Chao Phraya dinner cruise menu features a grandiose buffet with your favorite Thai dishes, as well as a selection of international treats, spread out for your enjoyment. 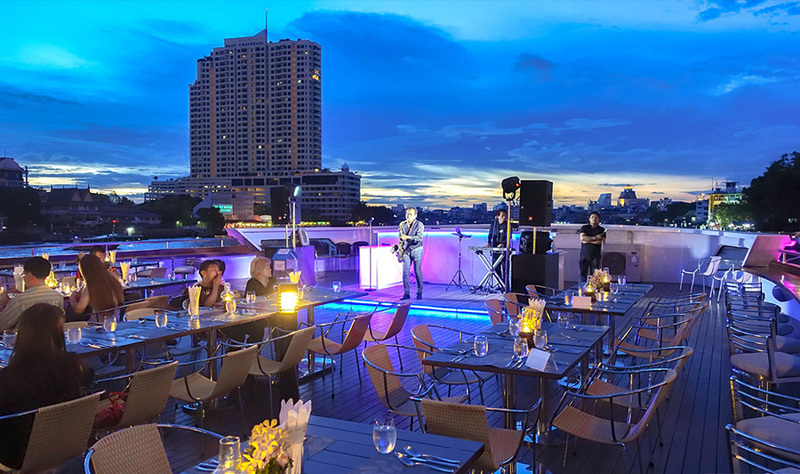 Along with a live band to grace your dinner with throwback tunes and a dose of nostalgia, the Chao Phraya Princess Cruise promises no less than an entertaining and memorable night for sure. Take on the journey with friends, family, and/or your partner: folks of all ages are welcome! 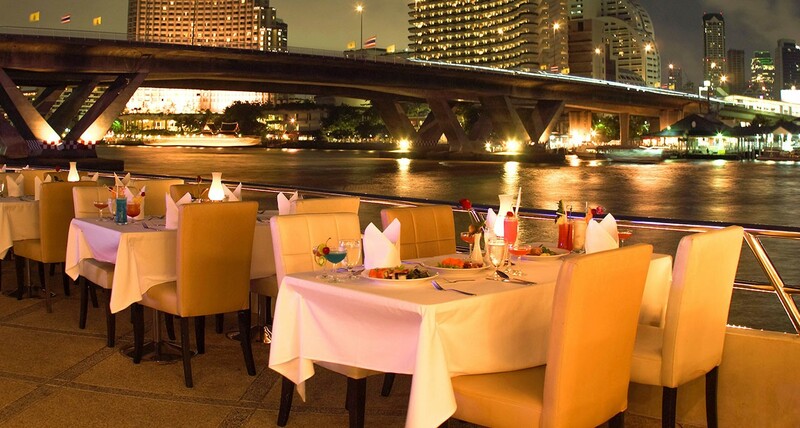 This is a recommended thing to do in Bangkok!. 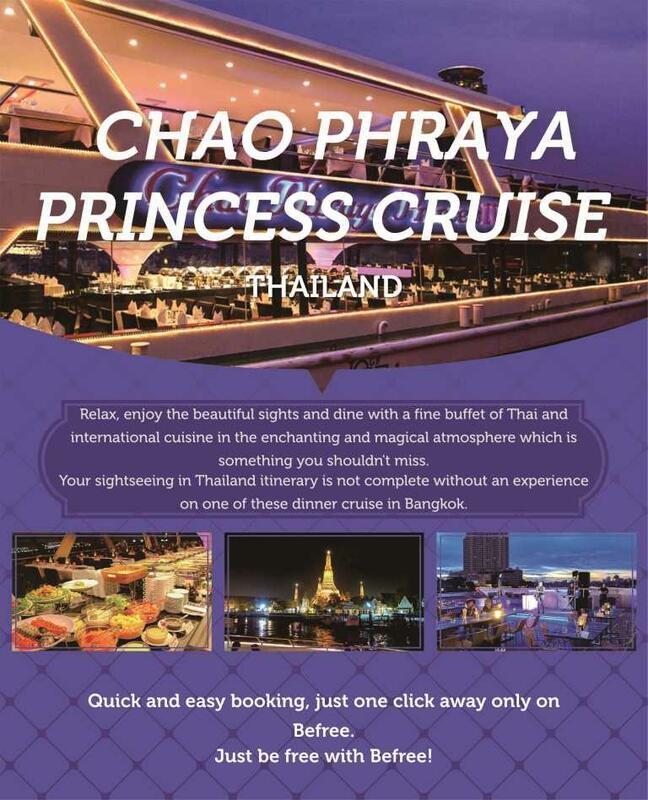 In addition, you can try the other cruise attractions in Bangkok such as White Orchid and Grand Pearl. 엄마와 함께 저녁 크루져 예약을 하였습니다. 몇 개의 후기가 좋지않아서 좀 걱정을 했지만 기다리는 내내 사람들도 많고 했지만 저녁 야경분위기를 즐기며 즐겁게 대기하고 있었습니다. 꼭 바우처를 가지고 배 타는 곳 근처에 옷에 붙이는 스티커를 꼭 받으셔야 하고, 예쁜 꽃 브로치도 달아줍니다. 태국전통의상을 입은 여성분과 사진을 찍는데, 이 사진은 나중에 태국의 야경과 같이 포토샵으로 관광과 여행느낌으 물씬나게 편집해서 판매를 하더라구요. 가족들분과 추억을 간직하고 싶으시면 사진을 사셔도 좋을 것 같아요. (저는 천액자안에 있는 사진을 구매했답니다) 음식과, 분위기, 음악 모두 전반적으로 너무 좋았습니다. 음식도 제가 생각하기에 상에 해당되는 것 같구요 모두다 제 입맛에 맞았습니다. 태국음식을 다 못 먹어분들이라면 여기서 골고루 음식을 접해도 괜찮겠다는 생각을 했습니다. 그리고 음악도 라이브라서 분위기도 한층 좋았습니다. 저와 엄마는 너무 대만족을 했고, 음악도 골고루 팝과, 태국 힙합, 강남스타일까지 신나는 음악과 함께 즐겁게 2시간을 보낸것 같습니다! Makan malam romantis sama pasangan, untung gk kehabisan slot. Thanks befree, CS rama respons cepat, tiket langsung di kirim.